BK Services provides a full range of landscaping services for residential and commercial properties throughout southeastern Connecticut. Why is BK Services the right choice for your home or business? 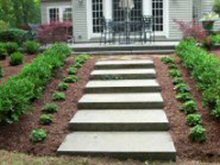 Properly licensed, certified, and insured, BK Services has the knowledge to design the perfect setting, utilizing the most appropriate materials and plantings. 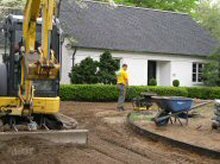 Our highly trained professionals meticulously implement each design, from excavation through installation to cleanup, using our own well maintained equipment. Every project begins with an understanding of your needs and priorities, and to ensure your continued satisfaction, we offer several landscape maintenance programs. A quality landscape design takes into account the growth of plantings over time. 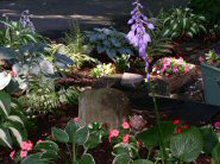 With proper care, your gardens and lawn will become even more beautiful as they mature. We offer several maintenance programs that include fertilizing, mulching, pruning, weeding, and mowing.